Changing the Pot... "If you can't take the heat, stay out ...."
Every manufacturing process has its "behind the scenes" duties that are often quite unpleasant and rarely visible to those who enjoy the finished product. 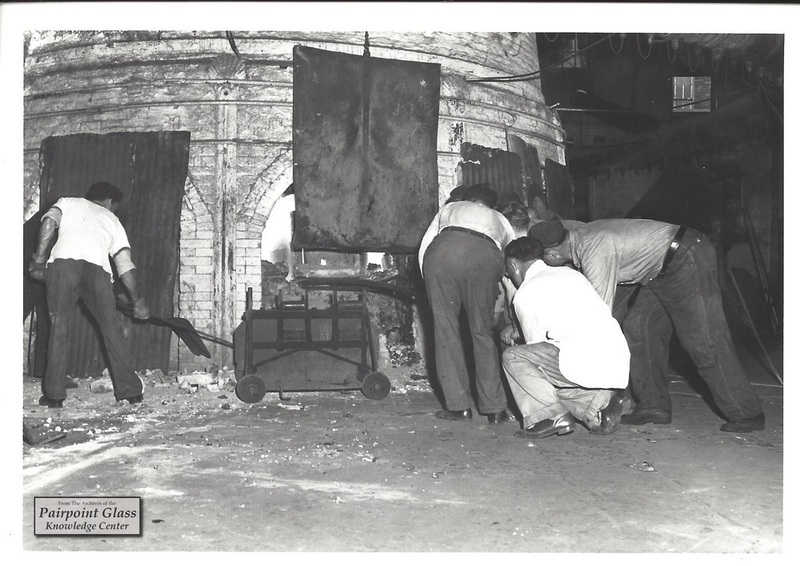 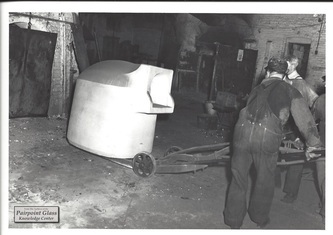 Glass-making was no exception and regularly required the replacement of the large clay pots in which the glass ingredients were melted and maintained. 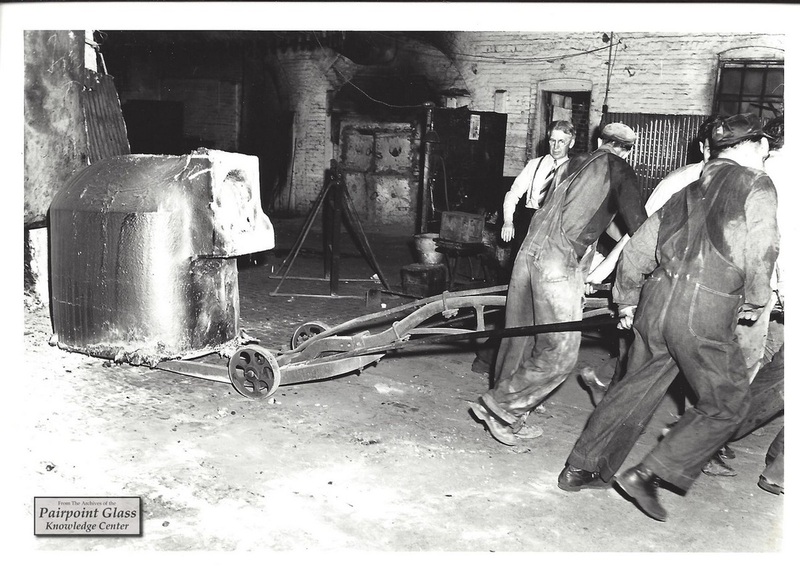 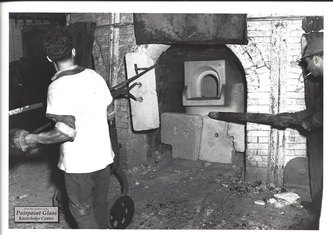 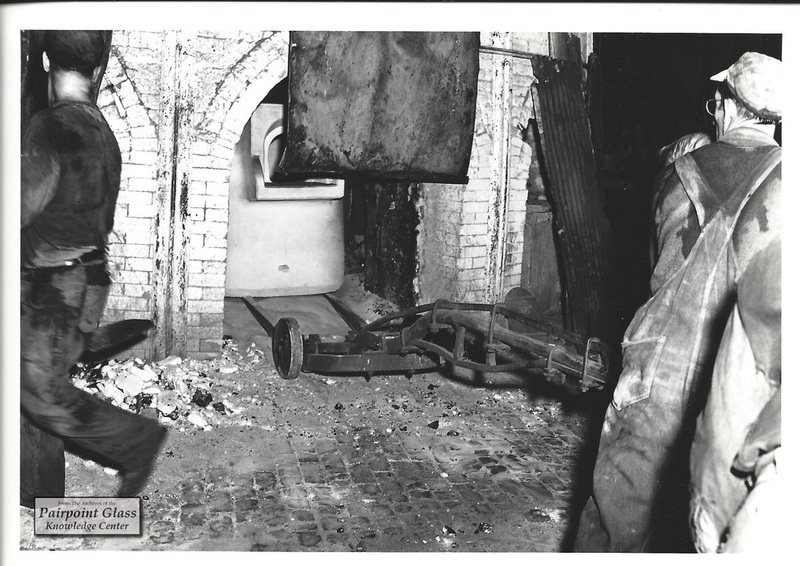 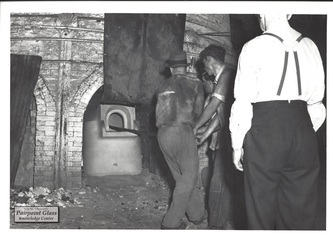 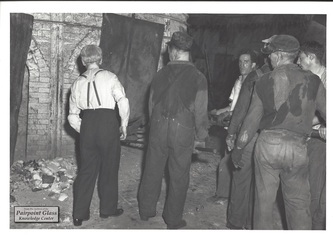 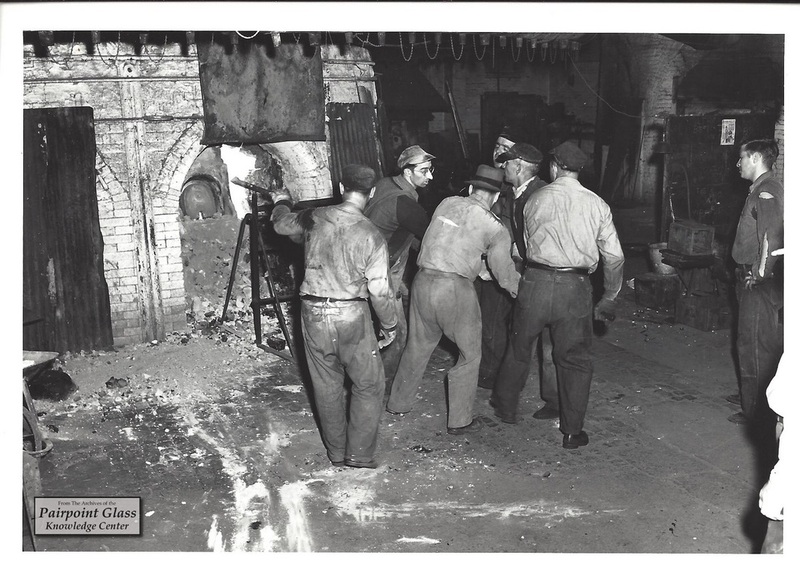 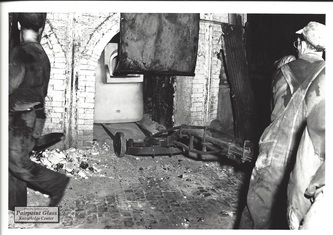 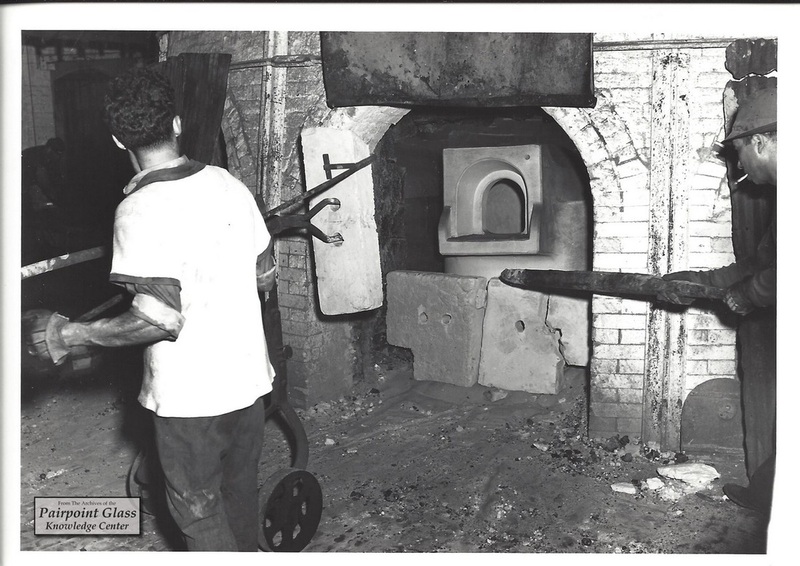 The glass furnace, which often contained many individual pots, was never shut down. This made the process of changing a worn-out pot very difficult, dangerous, and uncomfortable for the workers that were assigned the duty. 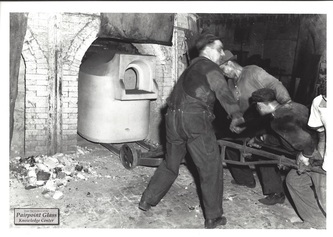 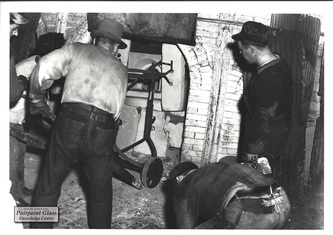 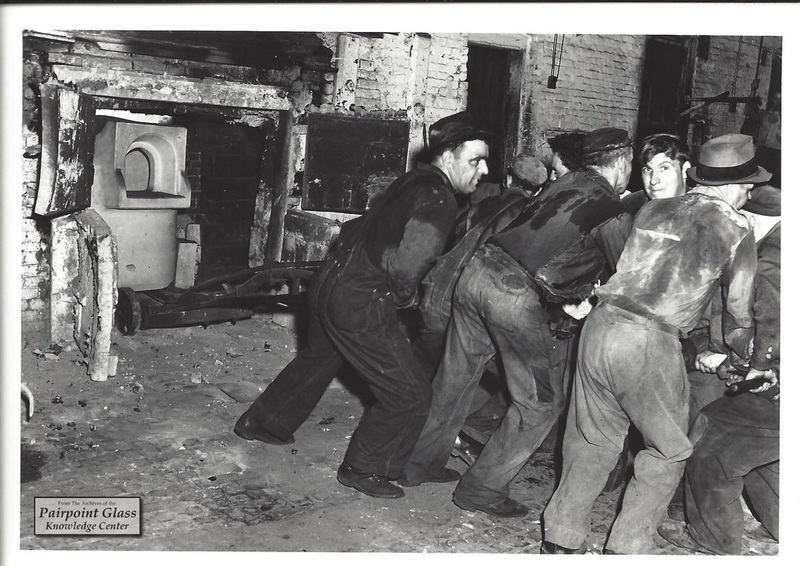 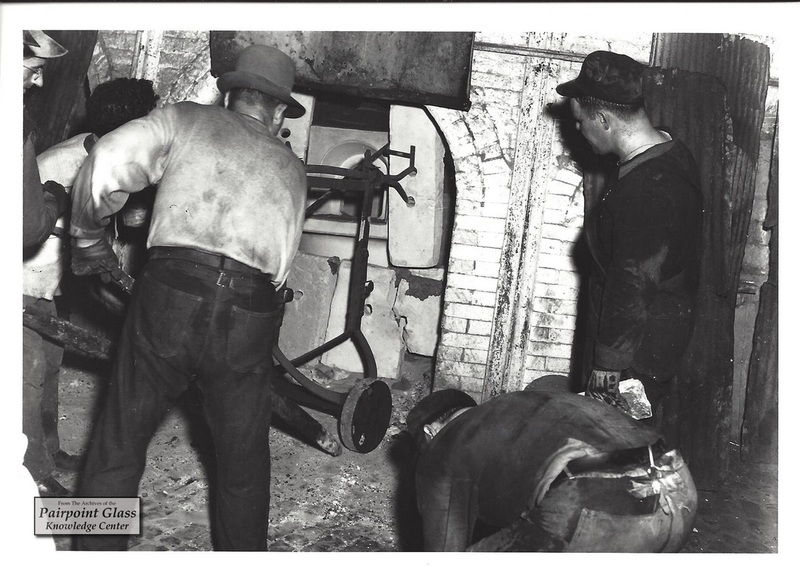 We were very fortunate to obtain a sequence of black & white photographs documenting the pot-changing operation from beginning to end. In Photos 4, 5, 7, and 11, you will see a gentleman wearing a white shirt and suspenders. 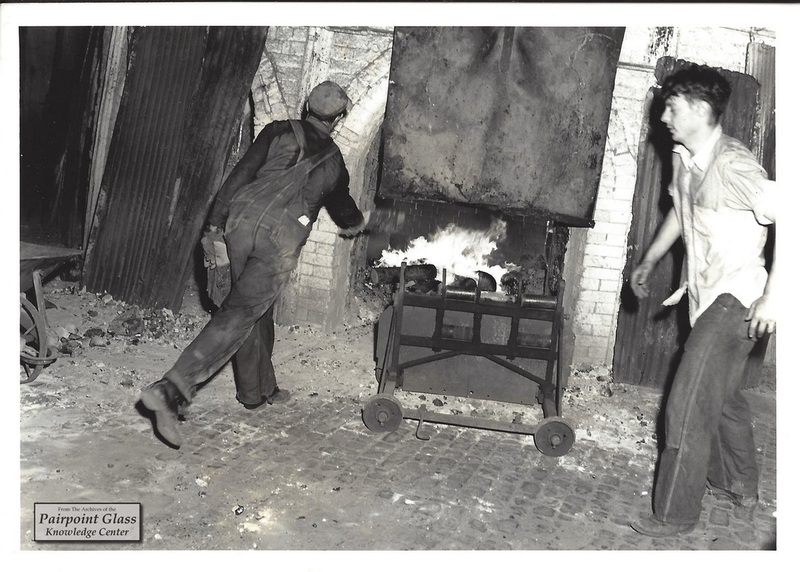 This is Robert M. Gundersen, Manager of the Gundersen Glass Works. 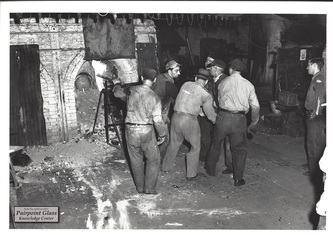 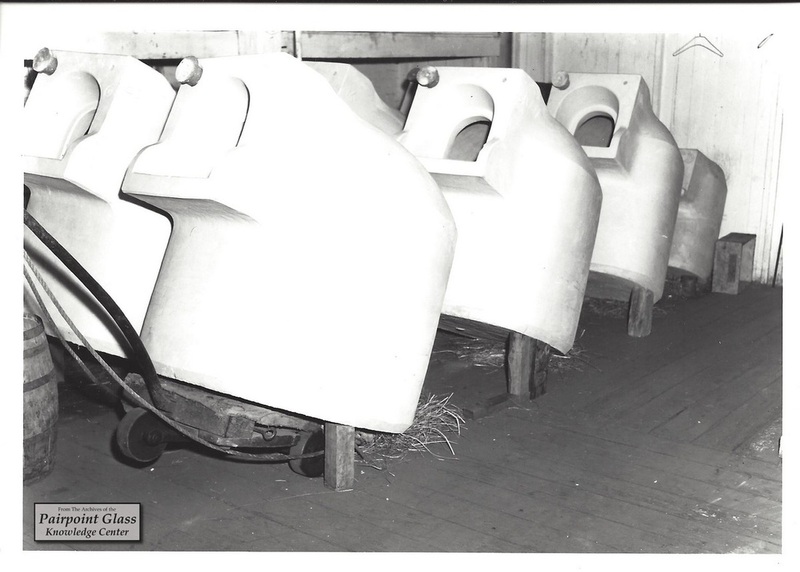 Mr. Gundersen guided the resurrected company from 1939 until his death in 1952, and with his appearance in these photographs, we are assuming they can be dated to that period of time. 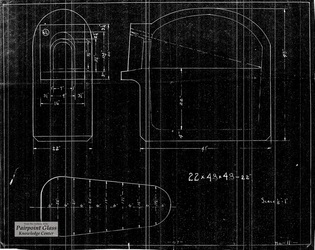 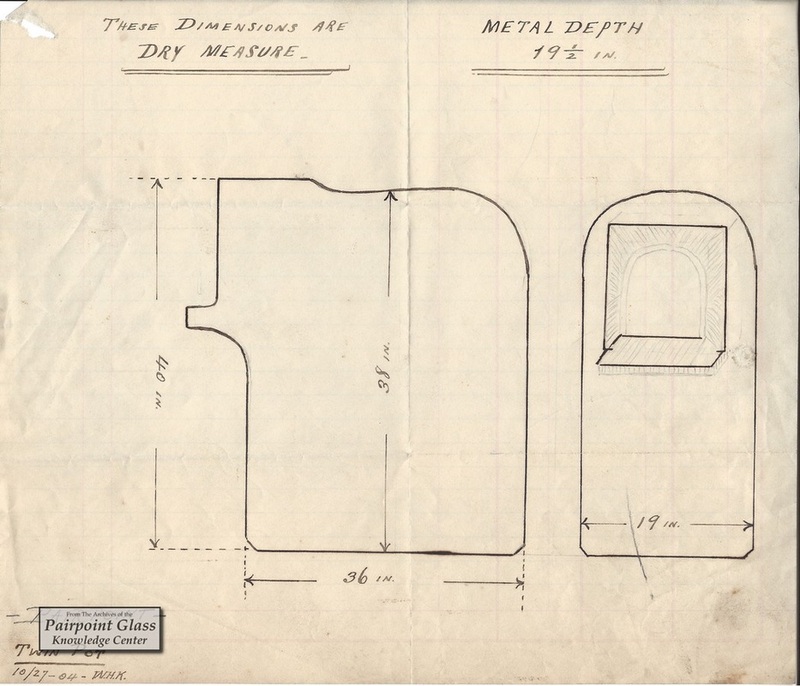 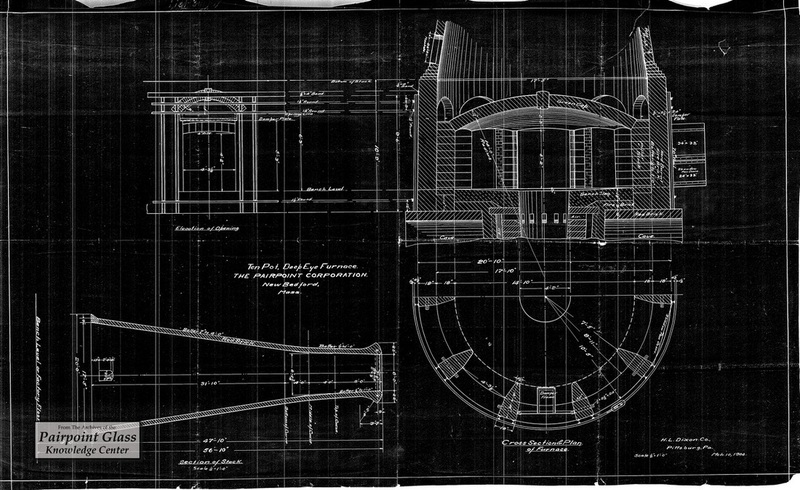 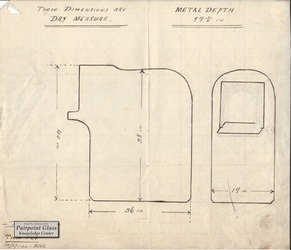 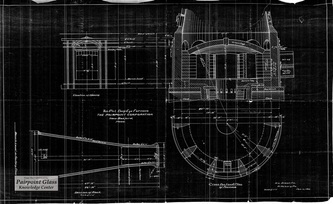 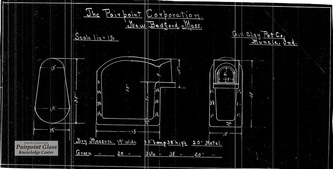 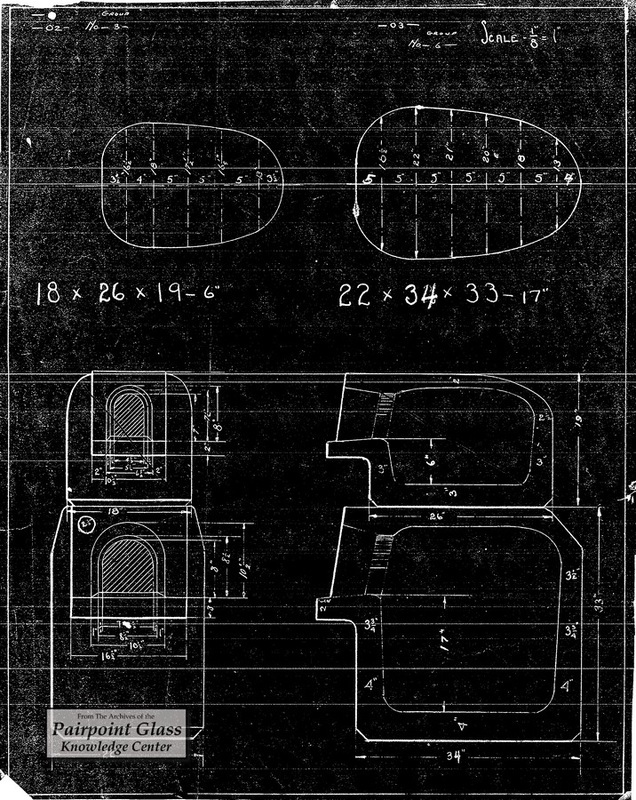 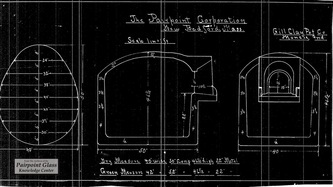 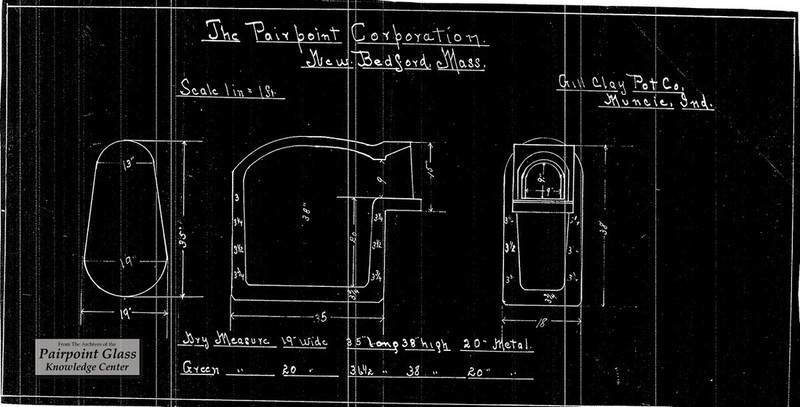 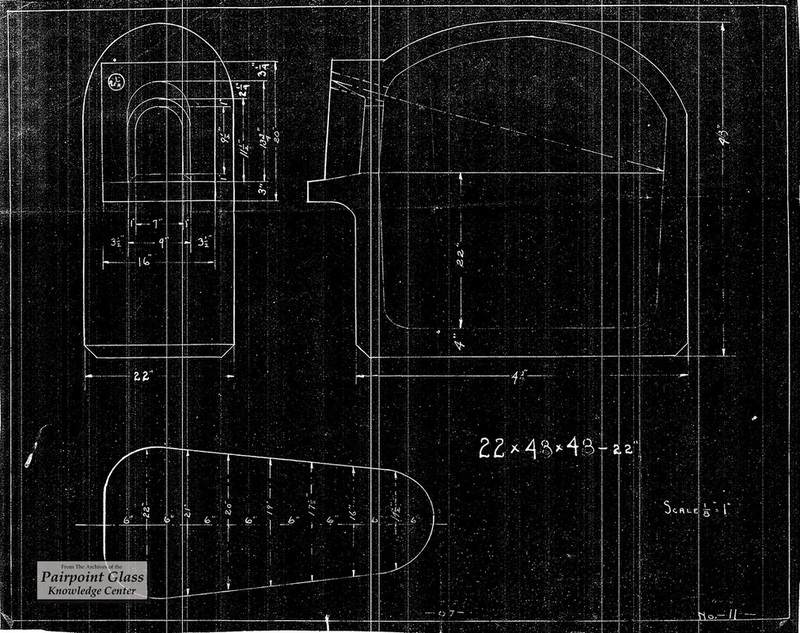 ​Shown below are digital copies of the original blueprints, dated 1904, of the Ten Pot Deep Eye furnace at Pairpoint. 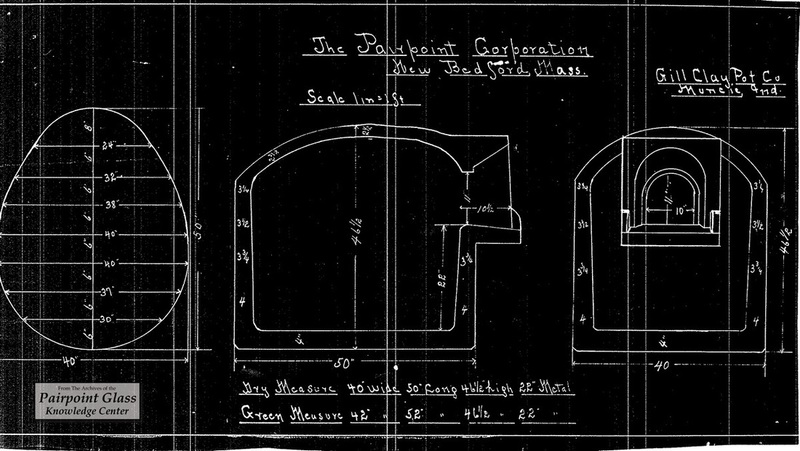 These copies are showing a black background versus the original blue color due to the digitizing process. 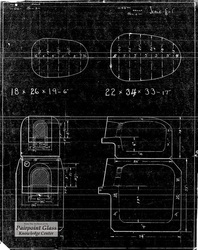 By clicking on each image, an enlarged view will appear, but for the engineers that would like to see the full-size detail, we encourage you to download the Furnace Blueprint file which is available in the Download Center.